Paradise awaits at Naviti Fiji, set like a sparkling jewel within the stunning natural beauty of Fiji’s famous Coral Coast! 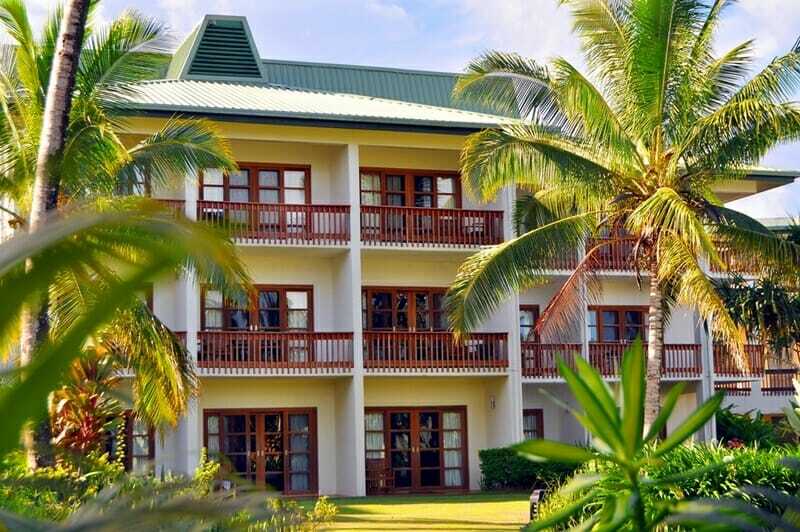 This luxury resort sits on the southwestern side of mainland Viti Levu, at the perfect midway point between Nadi and Suva, amid sugarcane, pine, and all the beauty of the South Pacific. Think golden sand beaches, luxe sophistication and warm Fijian hospitality where nothing is too much trouble, all cocooned within 38 acres of lush tropical gardens. Keep your feet in the sand and your head in the clouds when you stay in this little slice of heaven, an unforgettable experience whether you’re here for work or play! The newly-renovated rooms at Naviti Fiji are finished to a luxe, contemporary Fijian style to evoke sultry, sun-kissed days and endless summer nights. The views from your private balcony or patio will captivate and enchant. The swim-up pool bar will satisfy your island thirst, while the landscaped tropical gardens will inspire dreamy wanderings and shady relaxation. This world-class resort also boasts its own executive 9-hole golf course, 4 tennis courts, giant chessboard and fully-equipped gym. 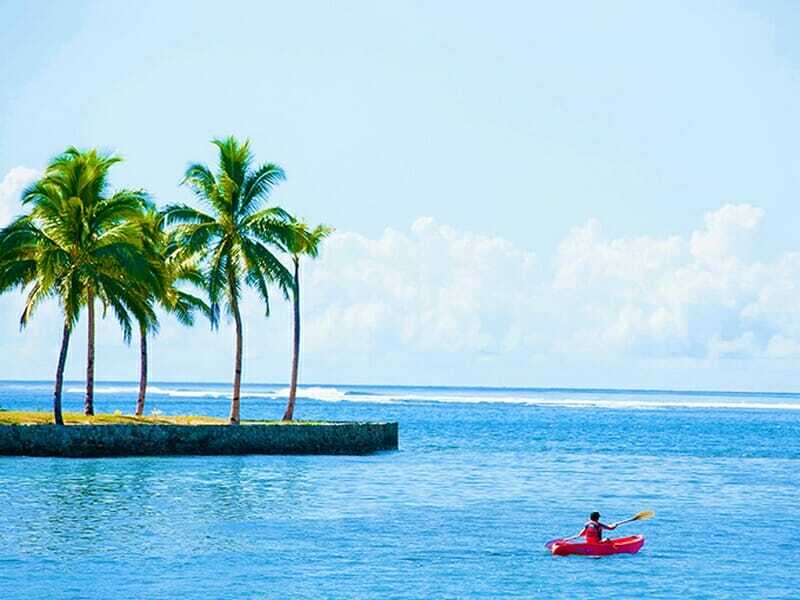 For adventure-seekers there’s the option of snorkelling or canoeing, as well as a host of other activities the friendly staff will be only too happy to arrange for you! Naviti Fiji also offers a Kid’s Club for peace of mind. Use the opportunity to enjoy the nightly entertainment or create your own fun at one of the 3 top-quality restaurants and bars. For ultimate luxe check out at Naviti Joy Day Spa—with its unparalleled atmosphere of tranquillity, beauty, and vitality you’ll blissed-out and stress-free in no time! Would you believe that Naviti Fiji is merely an oasis amidst the sea of abundant natural beauty and cultural treasures that make up the Coral Coast? This means it’s the perfect outpost for exploring everything the region has to offer! From organised tours to local villages, cascading waterfalls or historic caves, to hikes through the jungle or stunning Sigatoka Sand Dunes National Park. Explore the vibrant world that awaits under azure waves, including bright coral and diverse marine life, or keep your head above water (if you can!) when you surf the world-famous breaks. Do as much or as little as you want—it’s all here waiting for you! 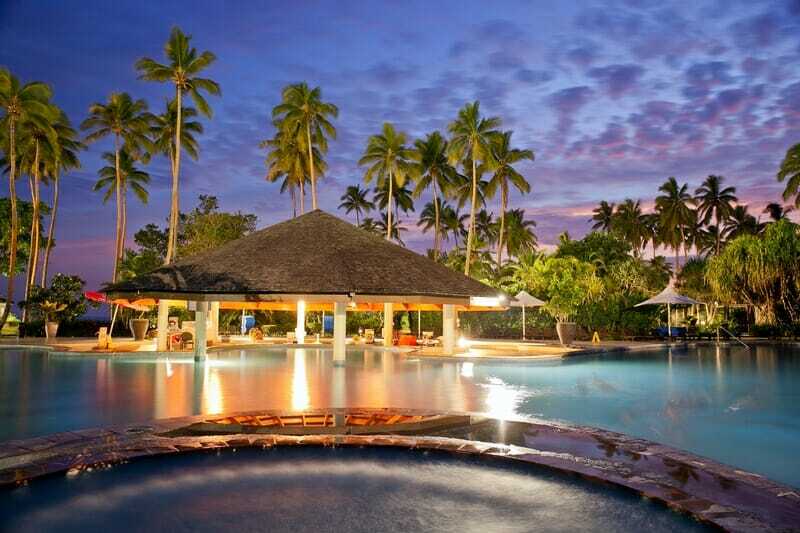 To book or find out more about Naviti Fiji, contact our dedicated Fiji Holiday Experts now.